View basket “Violet 900ml Hydration Tracker Water Bottle” has been added to your basket. Premium water bottle designed to encourage a more consistent water intake throughout the day thanks to our patented schedule on the back. CHANGE YOUR HYDRATION HABITS TODAY, NOTICE THE DIFFERENCE TOMORROW. Hydration Tracker Maintain a consistent water intake throughout the day with our hydration tracker water bottles. On the back of each bottle is a daily drinking schedule that prompts you to drink water in smaller, consistent amounts for maximum absorption by your cells. 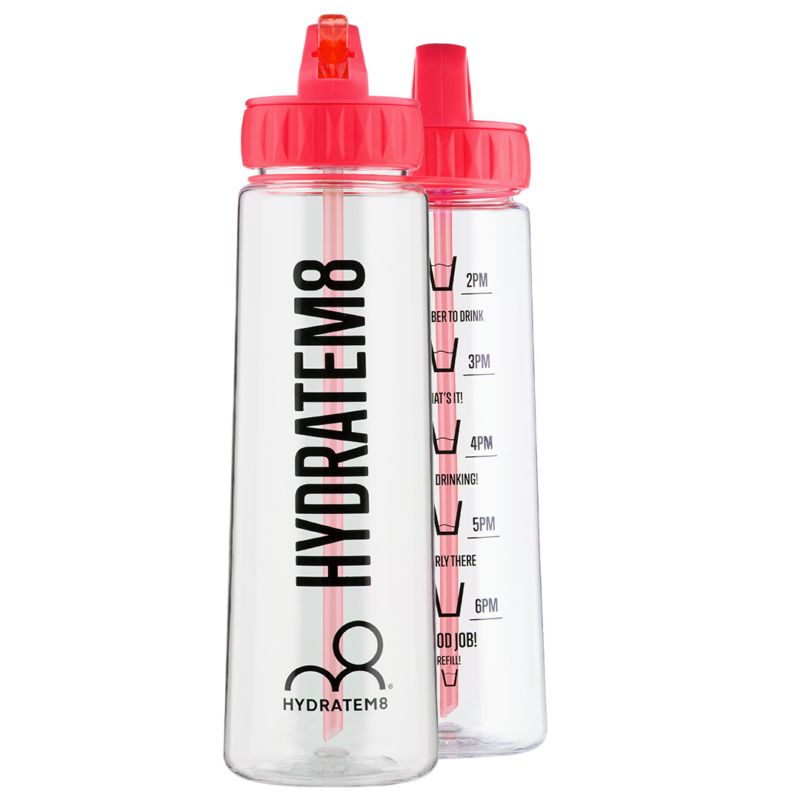 Improve Your HydrationMonitor & increase your water intake for a range of health benefits such as improved energy levels and concentration as well as healthy looking skin. Maintain a healthy body fluid balance to aid the transportation of nutrients and promote healthy hair and nail growth. DESIGNED FOR YOU AND YOUR GOALS. 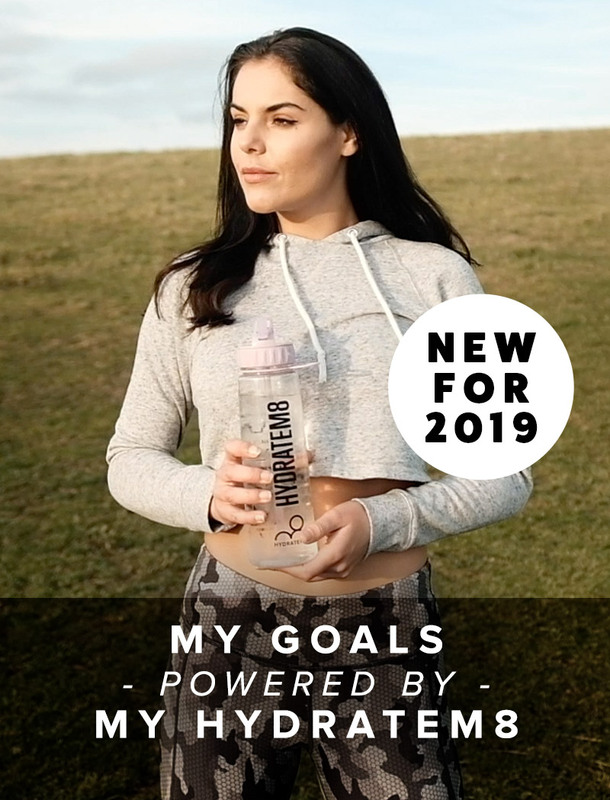 MotivationalOur bottles come in a variety of different colours pushing you on everyday and helping you reach your health goals. Tough & Durable MaterialManufactured using genuine Eastman Tritan™ plastic for the ultimate performance. Environment & YouOur reusable bottles are BPA free and help reduce the amount of plastic bottles sent to landfill. Hand wash only in warm soapy water and allow to air dry. Do not clean with bleach or cleansers containing chlorine. Not suitable for microwave, freezing or cooking. Do not leave liquids/foods in the products for extended periods of time. Avoid contact with suncream as this can affect the print (Hydration Trackers). Use a straw brush to clean within the spout and straw of Hydration Trackers. Pre-heat the food pot before use by filling the pot with boiling water and applying the lid for around 5 minutes. Empty the water (be careful when doing so) and fill with your piping hot food. For best heat retaining results, food pots should be filled to the top. So impressed with the service I’ve received. Excellent delivery service emailed several times with updates on delivery. The bottle is great nice and big and colour is lovely. Would buy again. This water bottle has helped me so much. 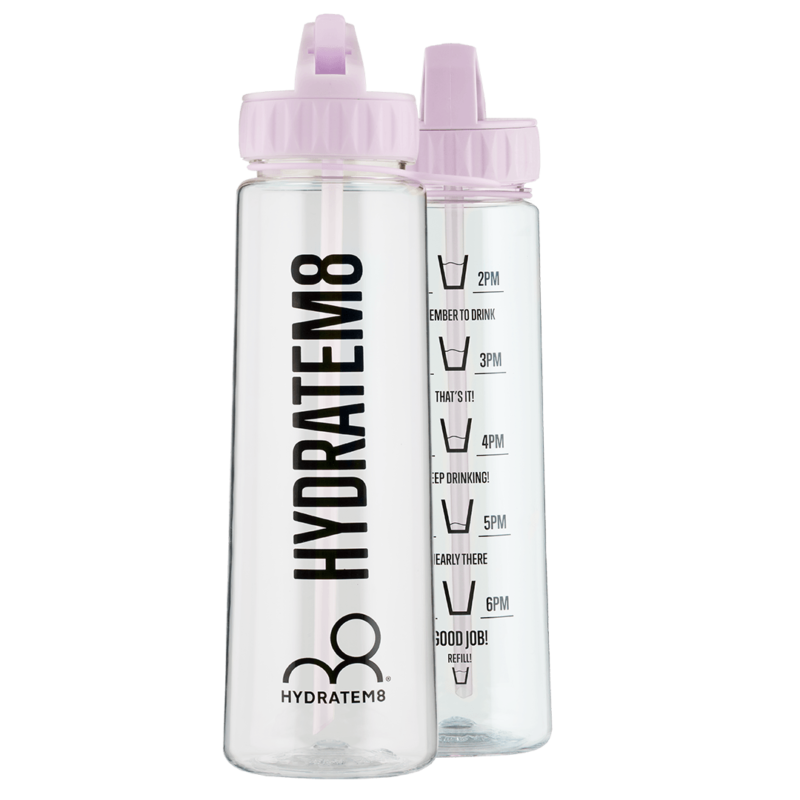 I usually don’t drink that much water, but ever since I purchased the hydratem8 water bottle I have started drinking much more. I feel so much more healthier and more awake throughout the day. The inspirational quote on the front keeps me drinking and exercising. When you order your water bottle, you receive updates on your package which is another very helpful quality. Overall the quality of the water bottle is brilliant and the results are brilliant as well. Such fast delivery. The water bottle it’s self is a really nice colour and it really does help you drink more water. Really good quality!